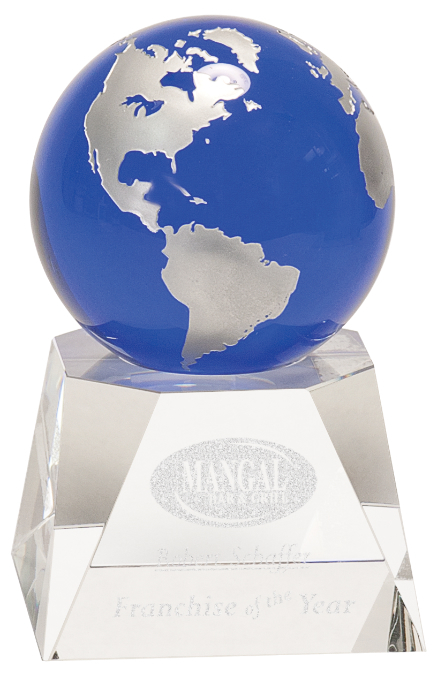 FEATURES/SPECS This striking desktop globe features an opaque blue globe mounted on a crystal clear glass base. The globe has beautifully contrasting silver continents. 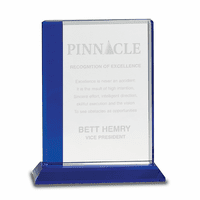 The base is made of solid glass with smooth, beveled corners. Add laser engraving to the base free of charge. 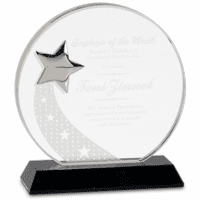 The laser engraving reacts with the glass to produce a solid white print that contrasts strikingly with the clear glass. 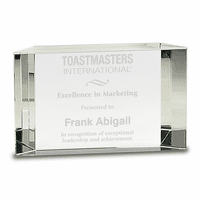 You can add text engraving by checking the Personalize It box above. You'll be able to enter, customize and preview your message. You can add a logo too, just check the Add Logo box. 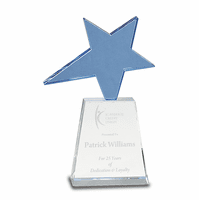 For logo orders, we'll email you a proof for approval before we start the personalization. 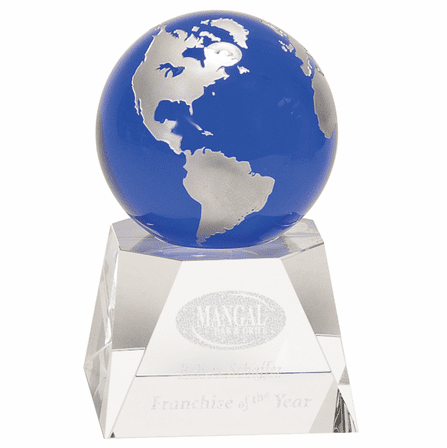 This laser engraved desktop globe is a great high-end recognition award for employees or as a corporate gift for a well-deserving co-worker. It comes packaged in a gift box and ships within one business day.